18 FT SKY GUY-ALL YELLOW SINGLE TUBE. DOES HAVE ARMS. BEST TO RUN ON LOW SPEED. IT DANCES MORE. IF IT IS REALLY WINDY, YOU CAN RUN ON HIGH SPEED, BUT IT WILL NOT LAST AS LONG. 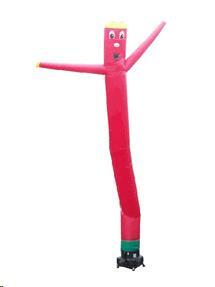 * Please call us for any questions on our inflatable sky guy rentals in Kalamazoo MI, and Southwestern Michigan.